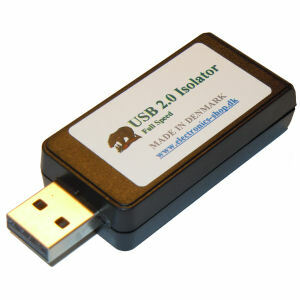 USB2ISO - Isolated USB 2.0 with build in powertransfer - no external powersupply needed. Poll Box What do you think about USB2ISO? 1. Protection of computer and attached USB devices - GREAT for LAB & Field use! 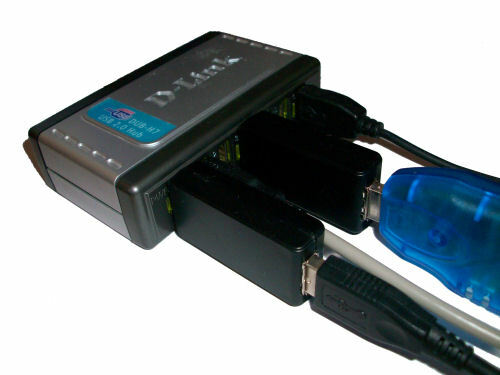 Just plug your USB device into the USB2ISOs connector and then plug the USB2ISO into a HUB or PC. The PC and your USB device now have no electrical connection but can still talk to each other. The USB2ISO module also transfers power from the PC to your USB device with no electrical connection. Your USB device is now protected and can be attached to other ground potentials without any ground loops that could destroy your computer,USB device and other attached electronic devices. Drawing showing the functional modules inside the USB2ISO adapter. Based on: Analog Devices Adum4160/Adum3160 and High Grade Class 3 Isolated Power Supply. Connectors: USB-A-Plug for PC, USB-A-Socket for USB cable to device. Free fraight when buying 10pcs or more. - Lowest cost for a complete professionel USB isolation solution. Best value for your money - Buy yours now!